Yesterday I spent the day at #DigCitNYC, hosted by Google in their NYC location. 100+ educators/Google for Edu trainers/consultants/parents/teachers/ businesspeople/learners joined together to talk about the ideals of digital citizenship and how Google’s products & services can support those efforts. Sometimes I feel like I’m living a double professional life. 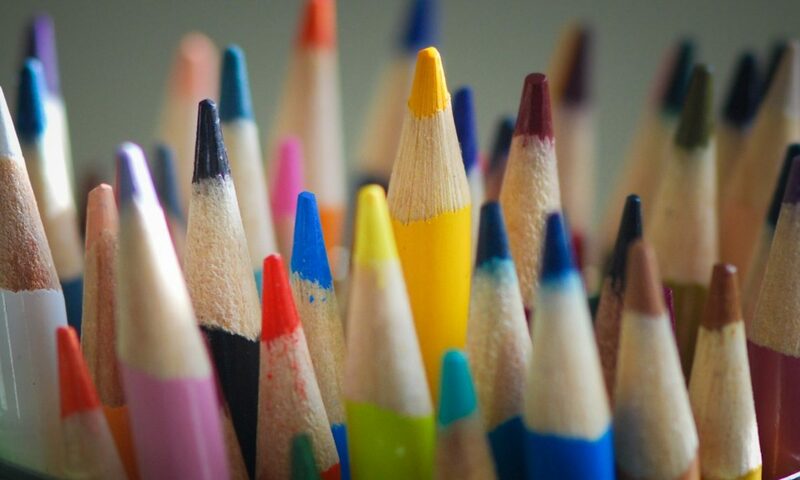 I spend much of my time inside ChangeLeaders Community, where, as community manager, I encourage members to push and challenge and share with one another and we try to think differently about school. We don’t emphasize the use of technology in schools. We don’t particularly care for ambiguous, overhyped buzzwords like personalized learning and digital citizenship, and we’re working hard to bring real change to organizations. We always try to put learning first. 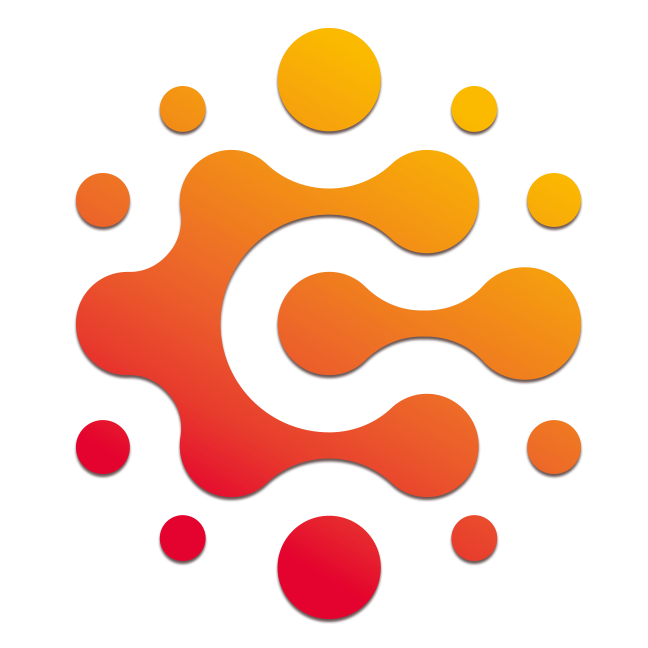 ChangeLeaders is a closed community run through Mighty Networks and intentionally serves as an interactive, safe space for discourse. No noise to inhibit learning. 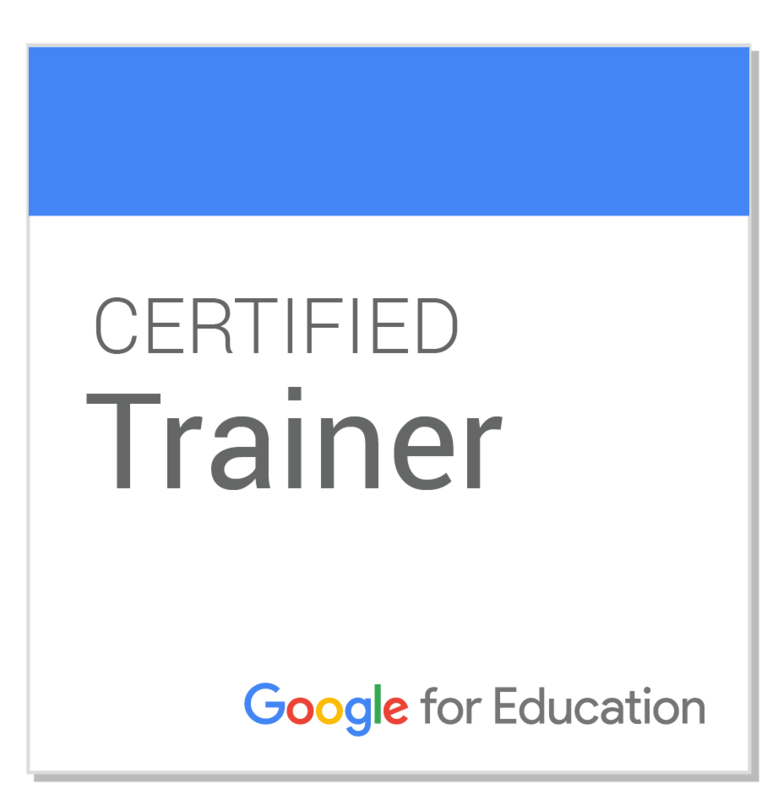 I also work as an educational consultant and spend many days with teachers in my role as Google for Education Certified Trainer. Consulting days are often tool-centric. Technology-centric. Lots of free tools shared. People want to know what’s out there, how it works, and why they should use it. We tinker a lot, both with ideas and with apps & services. I try to muster all the energy in the room to keep things focused on what strong pedagogy infused with a kick of technology looks like, but we almost always use the little time we have to explore tools & tech & techniques. Yesterday, Stephen Balkam from FOSI shared 7 Steps to Good Digital Parenting, Kerry Gallagher shared the latest from ConnectSafely, and Google team members and teachers shared as well. Not surprisingly, there was lots of talk about “teaching digital citizenship.” Not so much about learning. Are we making these lessons relevant to students’ lives? I heard one teacher in the audience tell a peer, “We do teach this stuff. But they hear it, and then they just go back to doing what they were doing.” So for kids, when does it sink in? What stories do we need to tell? Do they need to tell us? Teachers, principals, parents… we’re still operating in fear-based mode when it comes to misuse of technology in schools. And absolutely, there need to be strict disciplinary measures taken for illegal and bullying behaviors. But for off-task behaviors? When I hear a teacher say something like, “If you’re not careful with the computers, you’re going to get worksheets,” I roll my eyes. Which is what his/her students probably do. Doesn’t seem much like a learning-forward sanction to me. Lots of the digital citizenship activities out there are pretty contrived. Search for the digital footprints for these 3 make believe characters and fill out this worksheet sharing all you could find. How about, Use Google search and images to find out everything you can about your teacher? Or principal? Or a public figure that students are interested in? They’re doing it anyway. What’s going to be more effective? A worksheet? Or creating conditions for that type of activity to be done in class, with supportive adults, who can then finesse discussions and allow kids to really delve into their findings and implications? Are we considering the broader importance of helping students become digitally literate, not just well-behaved online? I reviewed Doug Belshaw’s work on digital literacy back in 2013, worth a read. Yesterday we worked in small teams to share two hopes and two fears on this topic, and it seemed the majority of groups hoped that we could better engage families and parents in this discussion, and fears were that many teachers don’t take seriously their responsibilities to include digital citizenship lessons in their classrooms because they see it as someone else’s job. Or, they don’t address these issues because they don’t have the resources. The resources are out there, and most of them are free. 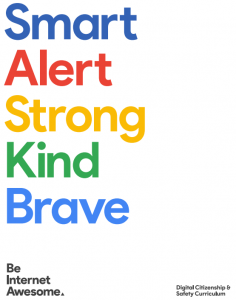 Whether you choose from Google’s Be Internet Awesome or Common Sense Media or any of the ConnectSafely resources, you can put together a fairly comprehensive curricula based on the needs of your students. Take a step back from the curriculum, the scope and sequence, the online programs. Last week Will Richardson wrote What is the internet becoming? We need to reflect seriously on the spaces kids are frequenting, their behaviors in those spaces, and whether or not we’re doing our best to mitigate the risks that come with online interactions while also taking advantage of the connections, enhanced communications and collaborative opportunities the internet provides. My hope? The children in our care now, the ones who are trying to finesse their digital literacy skills, will be the people who can help bring rational thought, joy, and truth back to online spaces. They can be the ones who start to demand honesty in publications and news reporting outlets, respectful discourse in online communities, and equal treatment of all. We have to put our own insecurities aside and help them do it.